It’s that time of year again when gardeners and non-gardeners alike get a hankering for a green thumb (perhaps in some regions gardening seasons started when the groundhog said it would weeks ago, but we’re a bit slow in Northeast Ohio). Although I am not – and will never be – a fan of pulling weeds on sore, bended knee, my lofty abode four stories above the ground desires a pinch of earthiness. 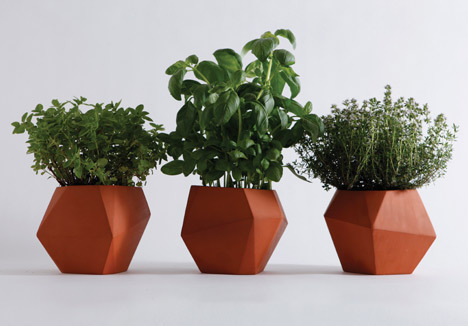 These potted plants are extra inspiring; I especially love the title of the most unusual pot specimen, “selfish and devoted“ (above, left) by Deger Cengiz. 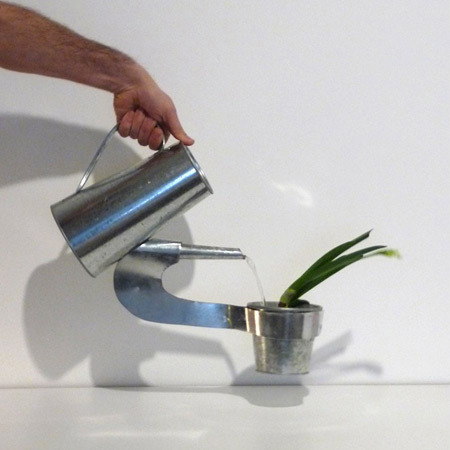 The watering can meets plant holder is certainly not the tool for anyone with acres of lands to cover, but for an apartment dweller who cannot be bothered to find a place for both a can and a pot, well this is magnifique! 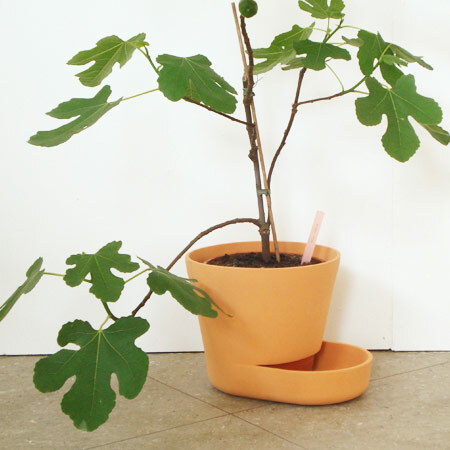 The aptly named “pot plant“ by Uli Budde is guarenteed to bring a smile to your face with its simple, smart personality (left). 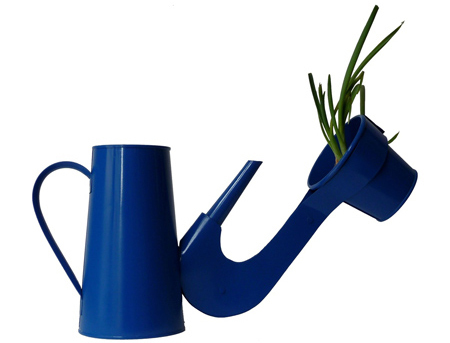 It combines the traditional saucer and pot combo. It seems this growing season, it’s all about 2-for-1!